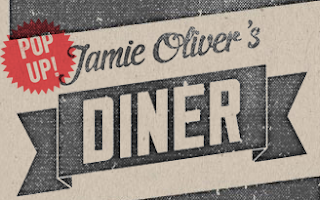 Love him or hate him, Jamie Oliver is a man with plans. From changing school meal legislation to creating a massive dinosaur for a restaurant stairway, the guy never sits still. When I was 23 we went to Jamie's Fifteen restaurant in London, and I became a lifelong fan of his work. Barbecoa (his venture with Adam Perry Lang) is another of my favourite restaurants ever. Granted, I've heard mixed reviews of Jamie's Italian, but I have never been myself. I'm a fan. He got a generation of young folk cooking from scratch, which can only be a good thing. My friends Mrs Petticoat and FoodGeekUK and I were all influenced by his cookery shows and books, and now we regularly visit his restaurants. I couldn't resist trying Jamie Oliver's Diner. Apparently it's a short term pop up, but a hell of a lot of effort has gone into the decor for something that will only be there a few months. There are two sides to the restaurant; a downstairs takeaway (complete with Vegas style glitz) and the restaurant which is upstairs. 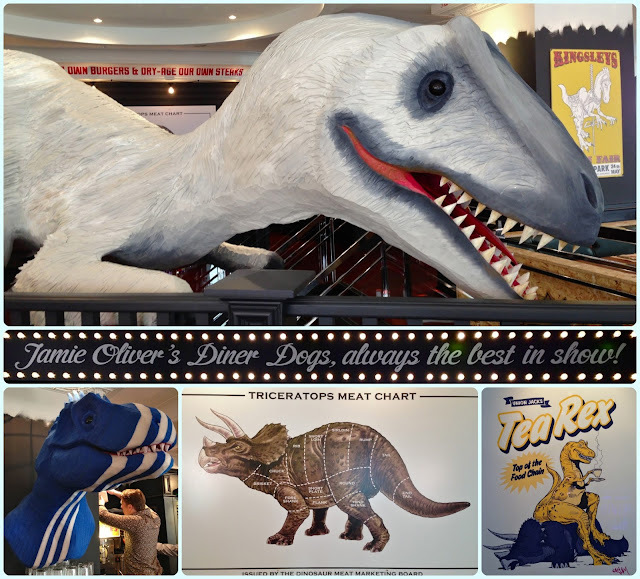 The dining room is decked out in dinosaur paraphernalia, and has great views of Piccadilly Circus from the comfortable booth seating areas. 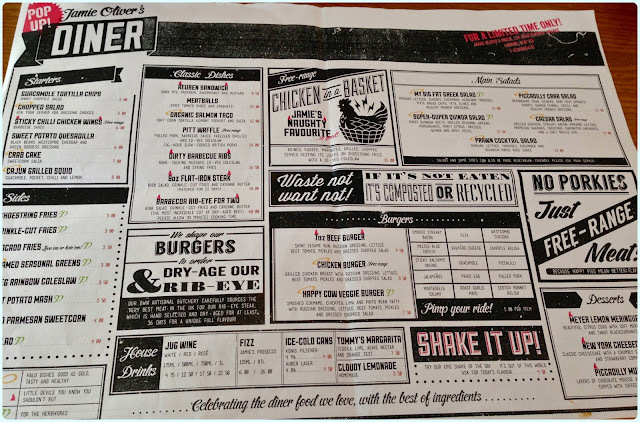 The menu is packed with barbecue favourites, such as meat from the grill, hotdogs and burgers. My sort of establishment really! 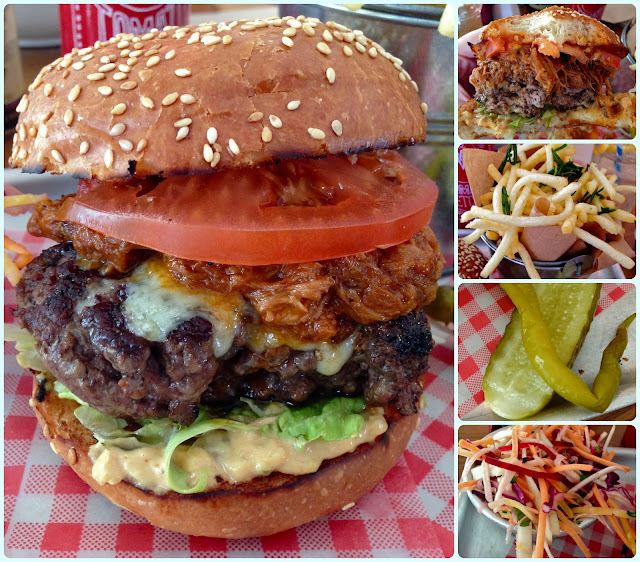 They make their own burgers, dry age all the steaks by hand and even compost leftovers. They even make their own dandelion and burdock - although it arrived looking pink rather than the deep brown I am used to. Since we had only eaten breakfast three hours before, we decided to share a starter. 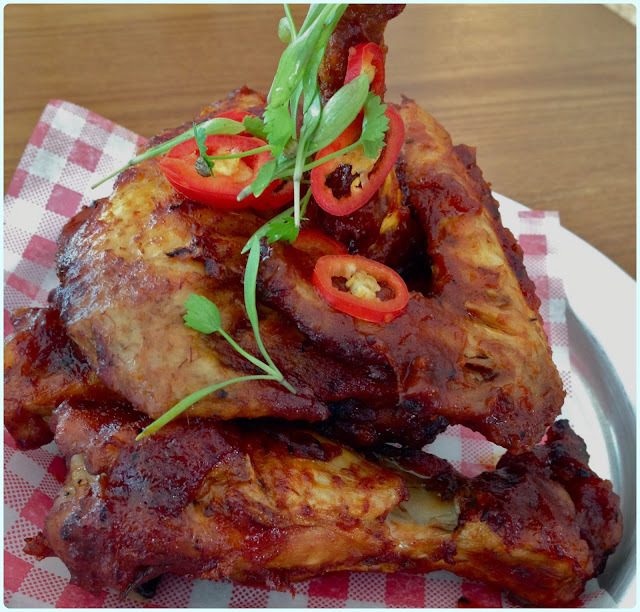 We picked the sticky chilli chicken wings in barbecue sauce. These were huge! No skinny cuts of chicken here. They were some big birds. The pulled pork at Barbecoa is the best I have ever tasted, so when I spied it on the menu here, I was on it. I ordered the house beef burger, but then 'pimped my ride' with pulled pork and cheddar cheese. I love a sloppy burger. I pride myself on (generally) being able to eat them without wearing their contents and love that they are different everywhere you go. 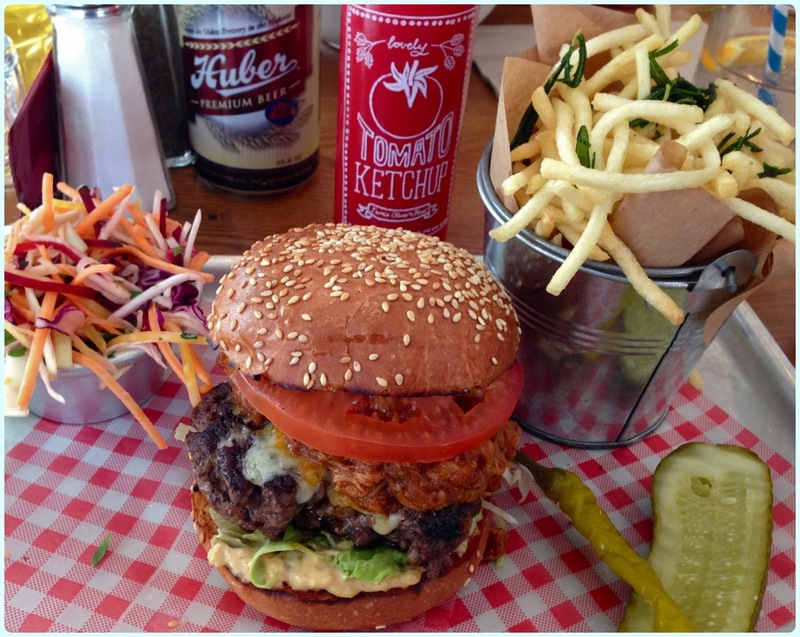 This was a fine example of a burger! It came with wonderfully crisp shoestring fries, pickles and coleslaw. Paddy was more sensible. We were going to Patty & Bun later that day, and thought two burgers in one day was excessive... Anyway, moving swiftly on... He had the meatballs. Again, massive! The meat was juicy and well seasoned, and there was a perfect ratio of pasta to sauce. 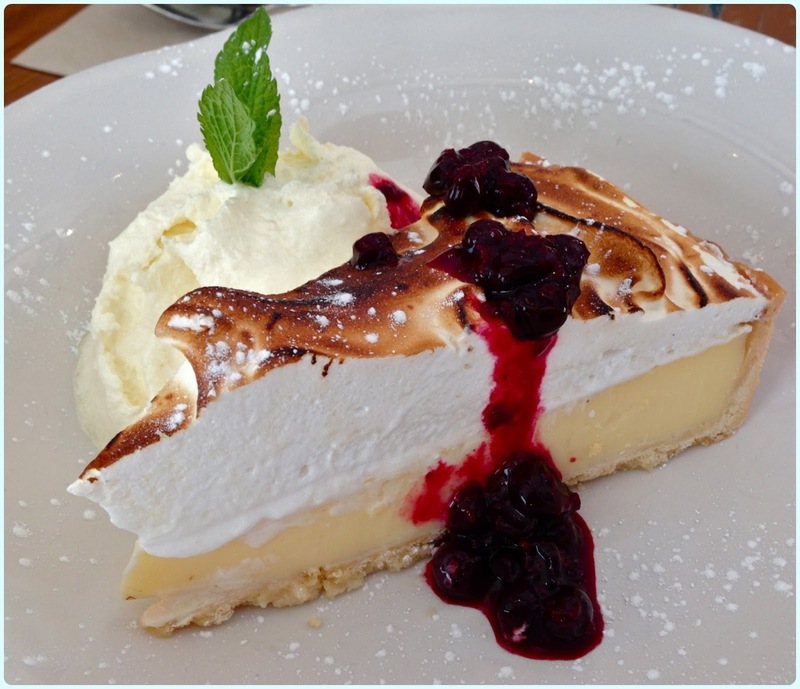 Full to bursting, I knew I had to man up so I could try the Meyer lemon meringue pie. The key lime pie at Barbecoa was one of my favourite desserts ever, so I was hoping this would be of a similar ilk. Correct. I could have eaten a bowl full of that meringue topping. I've read the review which everyone tells me about. I've seen the pictures and whilst Jamie has made a name for himself telling kids to eat better, I am going to add my own perspective. This is not fact, just my opinion. Yes, children need to eat a healthy balanced diet, however I suggest that he does not intend for the nation's children to eat at his diner every day. 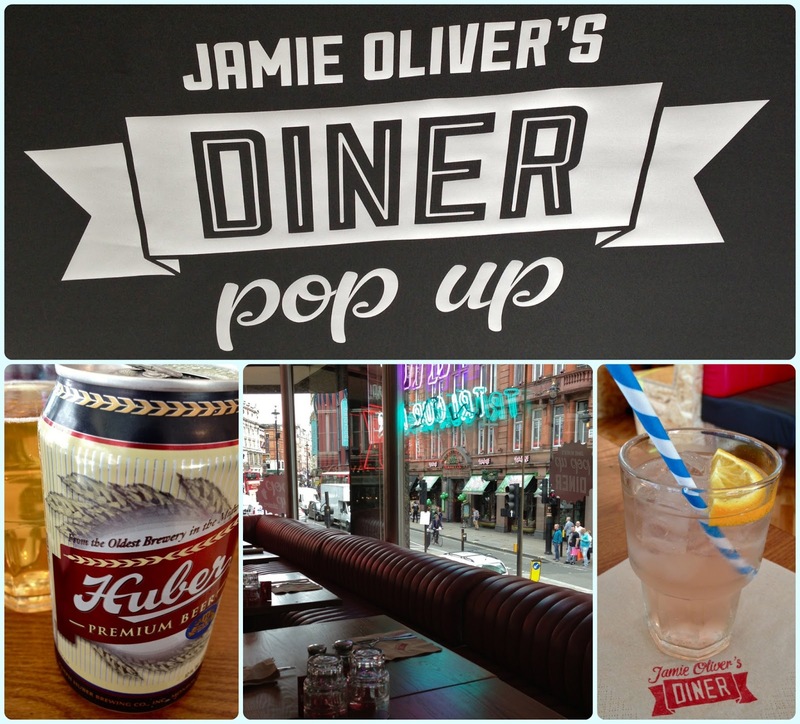 As with adults, establishments like Jamie Oliver's Diner are intended to be a treat. What goes into the food is of good quality, and there wasn't a turkey twizzler in sight. No, we only ate upstairs. Would definitely try it though! Ooooh next time I am in London for work I think I am going to treat myself to dinner here. 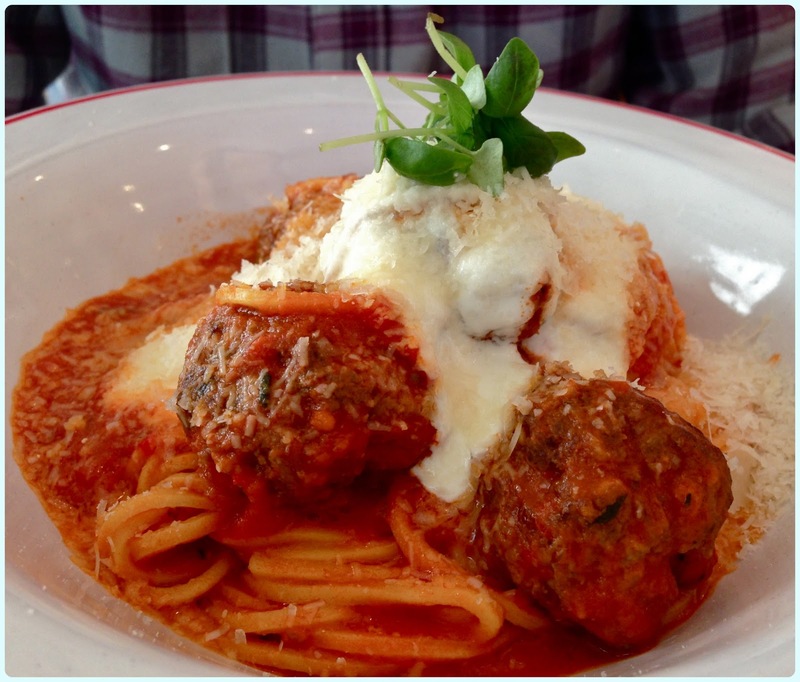 Looks delicious and great review. I think the whole problem with eating is that we've forgotten what "treats" are. This is not every day food. Was here this summer from Trinidad and the food was delicious, the waiters where very pleasant and i enjoyed my time here. i wont mind revisiting this place or another one of Jamie's restaurant.